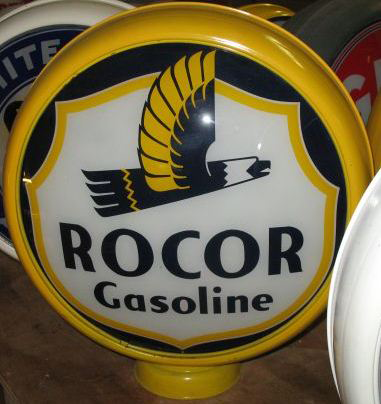 Advertising Globe for Rocor Gasoline. This globe has a very abstracted eagle illustrated in the center. Below the eagle is the brand name. The globe was produced in a vibrant yellow color.